Welcome to my Spring Clearning Lesson Planning Page. On this page you can find: links to preschool activities, book recommendations, suggested items to add to your learning spaces, and related Pre-K Printable fun products. ​This week we are going to have fun spring cleaning. The kids will have fun sweeping, and learning about outdoor chores such as raking, and cleaning windows. This is a great unit to introduce clothing and include practical life activities such as folding, and matching socks. The resources on this free plan can be found below. 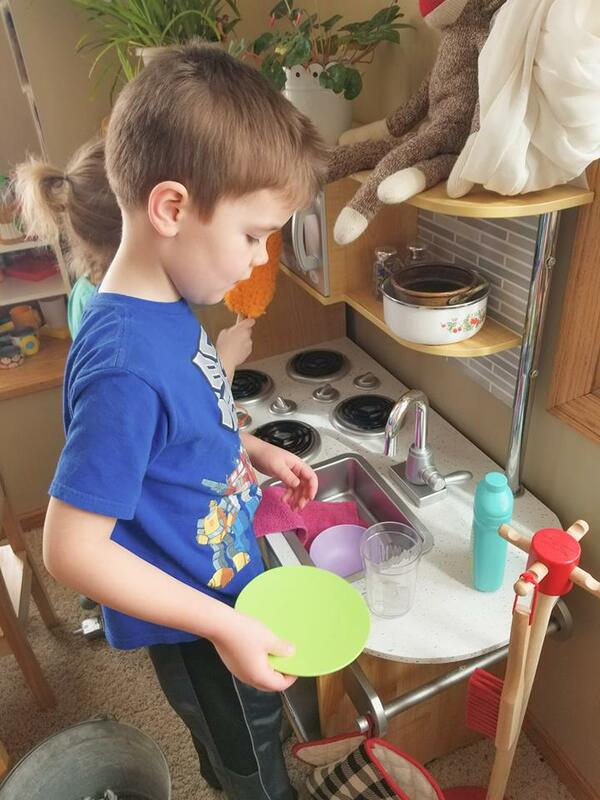 Activities marked with an asterisk can be found inside the Pre-K Printable Fun Spring Cleaning Activity Pack. 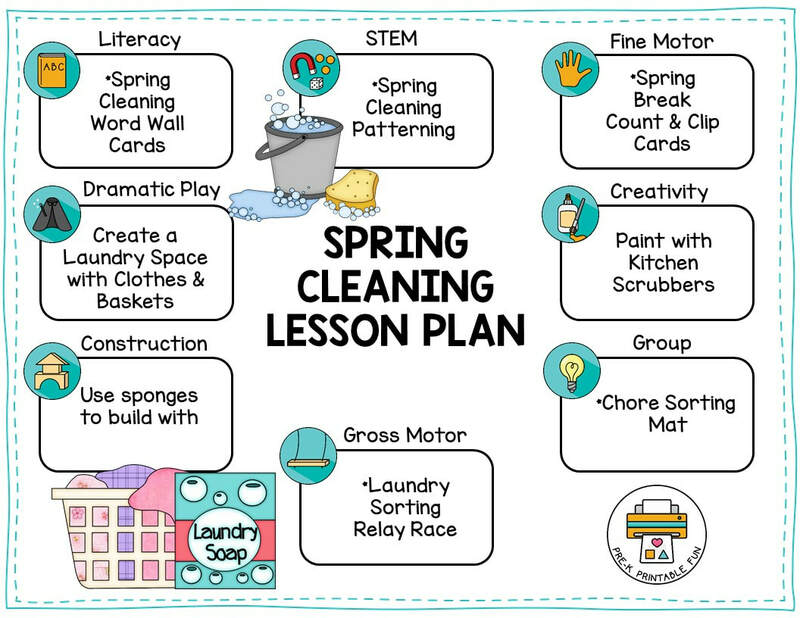 Print your free copy of this preschool Spring Cleaning Sample lesson plan! Find links to these resource and other themes inside my free lesson planning library! Activities marked with an asterisk can be found inside my related activity pack here! 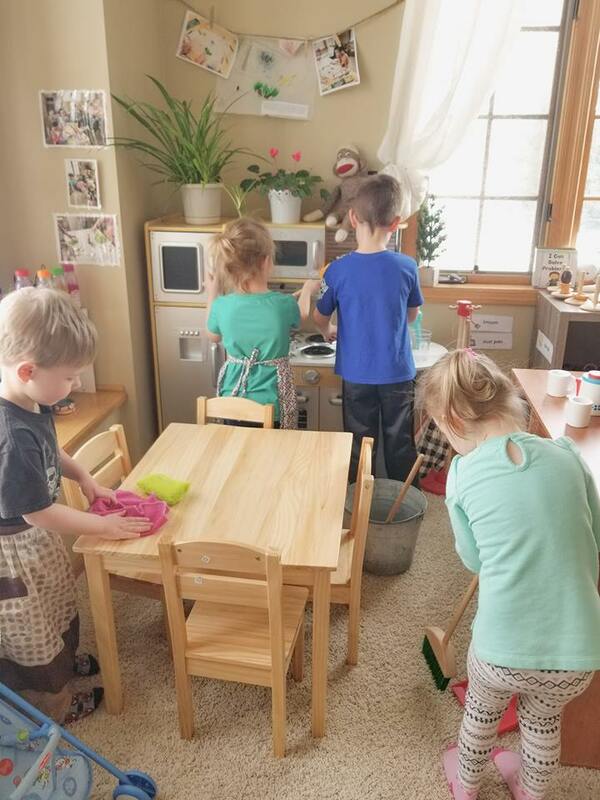 Add Spring Cleaning items to your Dramatic Play Space this week such as: Child size Brooms, Mops, Dustpans, Empty Spray Bottles, Sponges, Father Dusters, Cleaning Brushes, Cloths, and Buckets. There are plenty of outdoor chores too! Add rakes, watering cans, gloves, pretend lawn mover, Brooms, and Garbage Cans outside as well. From dusting, to cleaning dishes there is so much to do for spring cleaning! Set up a space for Laundry. Add washcloths, socks for folding, and Clothes Pins for Hanging items to dry. A big thank you to our friends at Cherie's Learning Tree for sharing these fun photos with us! DIY some blocks from Sponges, and add a small dustpan and broom for sweeping up the space. 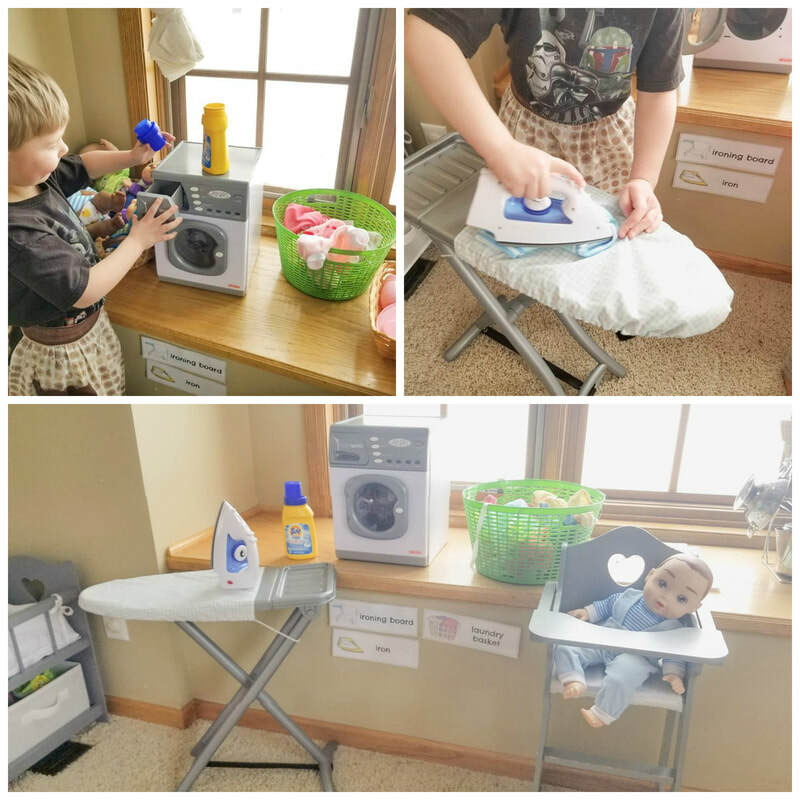 Laurie C. created this adorable Laundry Space-Compete with a laundry basket and irons! Laurie S. of There's No Place like Home Daycare added this adorable clothesline to her outside space (below). ​perfect for repairing items around the house.